OTTAWA — Health Canada says sales of cannabis products in February fell by nearly nine per cent compared with the previous month, largely due to fewer days, but average daily sales stayed relatively flat. The government agency’s latest sales and inventory figures also show that the inventory of finished cannabis continues to pile up at both licensed producers and government retailers and distributors. 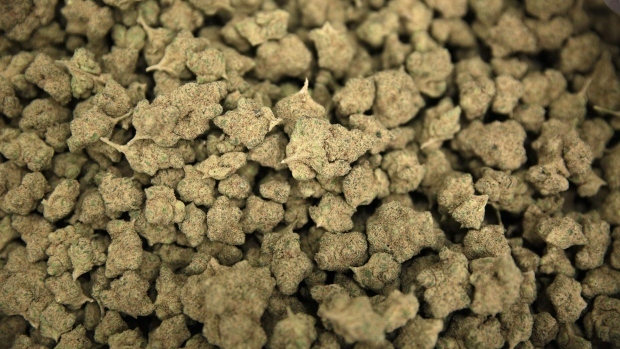 Health Canada says sales of dried pot in February amounted to 6,671 kilograms, 8.8 per cent less than the 7,313 kilograms sold in January, but average daily sales of dried cannabis rose by one per cent to 238 kilograms from 236 kilograms. Cannabis oil sales amounted to 7,244 litres, down 8.5 per cent from 7,921 litres in January, but average daily sales were up by 1.3 per cent to 259 litres from 256 litres. The total amount of finished dried cannabis products held in inventory at the end of February rose by 17.7 per cent from the previous month to 23,739 kilograms from 20,162 kilograms. The total amount of finished cannabis oil increased by 12.3 per cent to 59,417 litres from 52,908 litres.